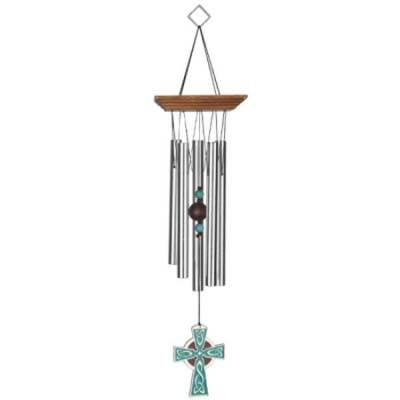 A traditional Celtic tuning and a cloisonne-style Celtic Cross windcatcher. The Woodstock Celtric Cross Chime's enchanting sounds will be embraced whenever and wherever the wind blows. 5 silver anodized aluminum tubes, genuine stone beads, faux cloisonne wind catcher.